The word "hypothyroidism" is from Greek hypo- meaning "reduced", thyreos for "shield", and eidos for "form". Hypothyroidism is also called underactive thyroid or low thyroid, It is a disorder of the endocrine system in which the thyroid gland does not produce enough thyroid hormone. It can cause a number of symptoms, such as poor ability to tolerate cold, a feeling of tiredness, constipation, depression, and weight gain. Occasionally there may be swelling of the front part of the neck due to goiter.Untreated hypothyroidism during pregnancy can lead to delays in growth and intellectual development in the baby or congenital iodine deficiency syndrome]. The thyroid gland is located in the front lower part of your neck. The Hormones released by the gland travel through your bloodstream and affect nearly every part of your body, from your heart and brain, to your muscles and skin. Hypothyroidism is caused by inadequate function of the gland itself (primary hypothyroidism), inadequate stimulation by thyroid-stimulating hormone from the pituitary gland (secondary hypothyroidism), or inadequate release of thyrotropin-releasing hormone from the brain's hypothalamus (tertiary hypothyroidism). Primary hypothyroidism is about a thousandfold more common than central hypothyroidism. Iodine deficiency is the most common cause of primary hypothyroidism and endemic goiter worldwide. In areas of the world with sufficient dietary iodine, hypothyroidism is most commonly caused by the autoimmune disease Hashimoto's thyroiditis (chronic autoimmune thyroiditis). Hashimoto's may be associated with a goiter. It is characterized by infiltration of the thyroid gland with T lymphocytes and autoantibodies against specific thyroid antigens such as thyroid peroxidase, thyroglobulin and the TSH receptor. After women give birth, about 5% develop postpartum thyroiditis which can occur up to nine months afterwards. This is characterized by a short period of hyperthyroidism followed by a period of hypothyroidism; 20–40% remain permanently hypothyroid. The thyroid gland is the only source of thyroid hormone in the body; the process requires iodine and the amino acid tyrosine. Iodine in the bloodstream is taken up by the gland and incorporated into thyroglobulin molecules. The process is controlled by the thyroid-stimulating hormone (TSH, thyrotropin), which is secreted by the pituitary. Not enough iodine, or not enough TSH, can result in decreased production of thyroid hormones. Worldwide, too little amount of iodine in the diet is the most common cause of hypothyroidism. In countries with enough iodine in the diet, the most common cause of hypothyroidism is the autoimmune condition Hashimoto's thyroiditis. Less common causes include: previous treatment with radioactive iodine, injury to the hypothalamus or the anterior pituitary gland, certain medications, a lack of a functioning thyroid at birth, or previous thyroid surgery. The diagnosis of hypothyroidism, when suspected, can be confirmed with blood tests measuring thyroid-stimulating hormone (TSH) and thyroxine levels. 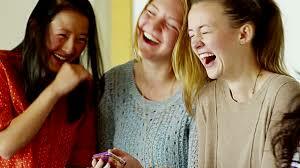 Salt iodization has prevented hypothyroidism in many populations. Hypothyroidism can be treated with levothyroxine. The dose is adjusted according to symptoms and normalization of the thyroxine and TSH levels. Thyroid medication is safe in pregnancy. While a certain amount of dietary iodine is important, excessive amounts can worsen certain types of hypothyroidism. Worldwide about one billion people are estimated to be iodine deficient; however, it is unknown how often this results in hypothyroidism.] In the United States, hypothyroidism occurs in 0.3–0.4% of people. Subclinical hypothyroidism, a milder form of hypothyroidism characterized by normal thyroxine levels and an elevated TSH level, is thought to occur in 4.3–8.5% of people in the United States. Hypothyroidism is more common in women than men. People over the age of 60 are more commonly affected. Dogs are also known to develop hypothyroidism and in rare cases cats and horses also. Lower-than-normal T4 levels usually mean you have hypothyroidism. However, some people may have increased TSH levels while having normal T4 levels. This is called subclinical (mild) hypothyroidism. It is believed to be an early stage of hypothyroidism. If your test results or physical exam of the thyroid are abnormal, your doctor may order a thyroid ultrasound, or thyroid scan, to check for nodules or inflammation. Laboratory testing of thyroid stimulating hormone levels in the blood is considered the best initial test for hypothyroidism; a second TSH level is often obtained several weeks later for confirmation. Levels may be abnormal in the context of other illnesses, and TSH testing in hospitalized people is discouraged unless thyroid dysfunction is strongly suspected. An elevated TSH level indicates that the thyroid gland is not producing enough thyroid hormone, and free T4 levels are then often obtained. 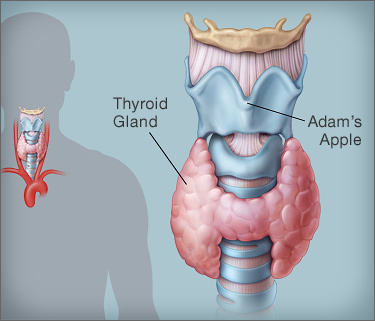 Measuring T3 is discouraged by the AACE in the assessment for hypothyroidism. There are a number of symptom rating scales for hypothyroidism; they provide a degree of objectivity but have limited use for diagnosis. If the TSH level is normal or low and serum free T4 levels are low, this is suggestive of central hypothyroidism (not enough TSH or TRH secretion by the pituitary gland or hypothalamus). There may be other features of hypopituitarism, such as menstrual cycle abnormalities and adrenal insufficiency. There might also be symptoms of a pituitary mass such as headaches and vision changes. Central hypothyroidism should be investigated further to determine the underlying cause. In overt primary hypothyroidism, TSH levels are high and T4 and T3 levels are low. Overt hypothyroidism may also be diagnosed in those who have a TSH on multiple occasions of greater than 5mIU/L, appropriate symptoms, and only a borderline low T4.It may also be diagnosed in those with a TSH of greater than 10mIU/L. Subclinical hypothyroidism is a milder form of hypothyroidism characterized by an elevated serum TSH level, but with a normal serum free thyroxine level. This milder form of hypothyroidism is most commonly caused by Hashimoto's thyroiditis. In adults it is diagnosed when TSH levels are greater than 5 mIU/L and less than 10mIU/L. The presentation of subclinical hypothyroidism is variable and classic signs and symptoms of hypothyroidism may not be observed. Of people with subclinical hypothyroidism, a proportion will develop overt hypothyroidism each year. In those with detectable antibodies against thyroid peroxidase (TPO), this occurs in 4.3%, while in those with no detectable antibodies, this occurs in 2.6%. Those with subclinical hypothyroidism and detectable anti-TPO antibodies who do not require treatment should have repeat thyroid function tests more frequently (e.g. yearly) compared with those who do not have antibodies. In pregnancy, subclinical hypothyroidism is defined as a TSH between 2.5 and 10 mIU/l with a normal thyroxine level, while those with TSH above 10 mIU/l are considered to be overtly hypothyroid even if the thyroxine level is normal. Antibodies against TPO may be important in making decisions about treatment, and should, therefore, be determined in women with abnormal thyroid function tests. The most common cause of hypothyroidism is Hashimoto's thyroiditis. "Thyroiditis" is an inflammation of the thyroid gland. Hashimoto's thyroiditis is an autoimmune disorder. With Hashimoto’s, your body produces antibodies that attack and destroy the thyroid gland. Thyroiditis may also be caused by a viral infection. Radiation therapy to the neck area. Treating certain cancers, such as lymphoma, requires radiation to the neck. Radiation damages the cells in the thyroid. This makes it more difficult for the gland to produce hormone. Radioactive iodine treatment. This treatment is commonly prescribed to people who have an overactive thyroid gland, a condition known as hyperthyroidism. However, radiation destroys the cells in the thyroid gland. This usually leads to hypothyroidism. Use of certain medications . Certain medicines to treat heart problems, psychiatric conditions, and cancer can sometimes affect the production of thyroid hormone. These include amiodarone (Cordarone, Pacerone), , interferon alpha, and interleukin-2. Thyroid surgery . Surgery to remove the thyroid will lead to hypothyroidism. If only part of the thyroid is removed, the remaining gland may still be able to produce enough hormone for the body's needs. Too little iodine in the diet. The thyroid needs iodine to produce thyroid hormone. Your body doesn't make iodine, so you need to get it through your diet. Iodized table salt is rich in iodine. Other food sources of iodine include shellfish, saltwater fish, eggs, dairy products, and seaweed. Iodine deficiency is rare in the U.S.
Pregnancy . The reason isn’t clear, but sometimes, inflammation of the thyroid occurs after pregnancy. This is called postpartum thyroiditis. Women with this condition usually have a severe increase in thyroid hormone levels followed by a sharp drop in thyroid hormone production. Most women with postpartum thyroiditis will regain their normal thyroid function. Problems with the thyroid at birth. Some babies may be born with a thyroid gland that did not develop correctly or does not work properly. This type of hypothyroidism is called congenital hypothyroidism. Most hospitals in the U.S. screen babies at birth for this disease. Pituitary gland damage or disorder. Rarely, a problem with the pituitary gland can interfere with the production of thyroid hormone. The pituitary gland makes a hormone, called thyroid-stimulating hormone (TSH), which tells your thyroid how much hormone it should make and release. Disorder of the hypothalamus. An extremely rare form of hypothyroidism can occur if the hypothalamus in the brain does not produce enough of a hormone called TRH. TRH affects the release of TSH from the pituitary gland. Primary hypothyroidism is caused by a problem with the thyroid gland itself. Secondary hypothyroidism occurs when another problem interferes with the thyroid's ability to produce hormones. For example, the pituitary gland or hypothalamus produce hormones that trigger the release of thyroid hormone. A problem with one of these glands can make your thyroid underactive. Sometimes, an underactive thyroid that results from a problem with the hypothalamus is called tertiary hypothyroidism. Hypothyroidism may be prevented in a population by adding iodine to commonly used foods. This public health measure has eliminated endemic childhood hypothyroidism in countries where it was once common. In addition to promoting the consumption of iodine-rich foods such as dairy and fish, many countries with moderate iodine deficiency have implemented universal salt iodization (USI). Encouraged by the World Health Organization,130 countries now have USI, and 70% of the world's population are receiving iodized salt. In some countries, iodized salt is added to bread. Despite this, iodine deficiency has reappeared in some Western countries as a result of attempts to reduce salt intake. Pregnant and breastfeeding women, who require 66% more daily iodine requirement than non-pregnant women, may still not be getting enough iodine. The World Health Organization recommends a daily intake of 250 µg for pregnant and breastfeeding women. As many women will not achieve this from dietary sources alone, the American Thyroid Association recommends a 150 µg daily supplement by mouth. If you have hypothyroidism, your doctor will prescribe a synthetic (man-made) thyroid hormone T4. You take this pill every day. Certain other medications can interfere with how your body absorbs synthetic thyroid hormone. Make sure you doctor knows about all the medicines, herbs, and supplements you take, including over-the-counter products. You will need regular blood tests to check your thyroid hormone levels. Your doctor may need to adjust your medication dose from time to time. Most people with hypothyroidism symptoms and confirmed thyroxine deficiency are treated with a synthetic long-acting form of thyroxine, known as levothyroxine (L-thyroxine). In young and otherwise healthy people with overt hypothyroidism, a full replacement dose (adjusted by weight) can be started immediately; in the elderly and people with heart disease a lower starting dose is recommended to prevent over supplementation and risk of complications. Lower doses may be sufficient in those with subclinical hypothyroidism, while people with central hypothyroidism may require a higher than average dose. Blood free thyroxine and TSH levels are monitored to help determine whether the dose is adequate. This is done 4–8 weeks after the start of treatment or a change in levothyroxine dose. Once the adequate replacement dose has been established, the tests can be repeated after 6 and then 12 months, unless there is a change in symptoms. Normalization of TSH does not mean that other abnormalities associated with hypothyroidism improve entirely, such as elevated cholesterol levels. In people with central/secondary hypothyroidism, TSH is not a reliable marker of hormone replacement and decisions are based mainly on the free T4 level. Levothyroxine is best taken 30–60 minutes before breakfast, or four hours after food, as certain substances such as food and calcium can inhibit the absorption of levothyroxine. There is no direct way of increasing thyroid hormone secretion by the thyroid gland. Adding liothyronine (synthetic T3) to levothyroxine has been suggested as a measure to provide better symptom control, but this has not been confirmed by studies. In 2007, the British Thyroid Association stated that combined T4 and T3 therapy carried a higher rate of side effects and no benefit over T4 alone. Similarly, American guidelines discourage combination therapy due to a lack of evidence, although they acknowledge that some people feel better when receiving combination treatment. Treatment with liothyronine alone has not received enough study to make a recommendation as to its use; due to its shorter half-life it needs to be taken more often. People with hypothyroidism who do not feel well despite optimal levothyroxine dosing may request adjunctive treatment with liothyronine. A 2012 guideline from the European Thyroid Association recommends that support should be offered with regards to the chronic nature of the disease and that other causes of the symptoms should be excluded. Addition of liothyronine should be regarded as experimental, initially only for a trial period of 3 months, and in a set ratio to the current dose of levothyroxine.The guideline explicitly aims to enhance the safety of this approach and to counter its indiscriminate use. Desiccated thyroid extract is an animal-based thyroid gland extract, most commonly from pigs. It is a combination therapy, containing forms of T4 and T3. It also contains calcitonin (a hormone produced in the thyroid gland involved in the regulation of calcium levels), T1 and T2; these are not present in synthetic hormone medication. This extract was once a mainstream hypothyroidism treatment, but its use today is unsupported by evidence; British Thyroid Association and American professional guidelines discourage its use. There is little evidence whether there is a benefit from treating subclinical hypothyroidism, and whether this offsets the risks of overtreatment. Untreated subclinical hypothyroidism may be associated with a modest increase in the risk of coronary artery disease. A 2007 review found no benefit of thyroid hormone replacement except for "some parameters of lipid profiles and left ventricular function". There is no association between subclinical hypothyroidism and an increased risk of bone fractures,[ nor is there a link with cognitive decline. Since 2008, consensus American and British opinion has been that in general people with TSH under 10 mIU/l do not require treatment. American guidelines recommend that treatment should be considered in people with symptoms of hypothyroidism, detectable antibodies against thyroid peroxidase, a history of heart disease or are at an increased risk for heart disease, if the TSH is elevated but below 10 mIU/l. Myxedema coma or severe decompensated hypothyroidism usually requires admission to the intensive care, close observation and treatment of abnormalities in breathing, temperature control, blood pressure, and sodium levels. Mechanical ventilation may be required, as well as fluid replacement, vasopressor agents, careful rewarming, and corticosteroids (for possible adrenal insufficiency which can occur together with hypothyroidism). Careful correction of low sodium levels may be achieved with hypertonic saline solutions or vasopressin receptor antagonists. For rapid treatment of the hypothyroidism, levothyroxine or liothyronine may be administered intravenously, particularly if the level of consciousness is too low to be able to safely swallow medication. While administration through a nasogastric tube is possible, this may be unsafe and is discouraged. In women with known hypothyroidism who become pregnant, it is recommended that serum TSH levels are closely monitored. Levothyroxine should be used to keep TSH levels within the normal range for that trimester. The first trimester normal range is below 2.5 mIU/L and the second and third trimesters normal range is below 3.0 mIU/L. Treatment should be guided by total (rather than free) thyroxine or by the free T4 index. Similarly to TSH, the thyroxine results should be interpreted according to the appropriate reference range for that stage of pregnancy. The levothyroxine dose often needs to be increased after pregnancy is confirmed, although this is based on limited evidence and some recommend that it is not always required; decisions may need to based on TSH levels. Women with anti-TPO antibodies who are trying to become pregnant (naturally or by assisted means) may require thyroid hormone supplementation even if the TSH level is normal. This is particularly true if they have had previous miscarriages or have been hypothyroid in the past. Supplementary levothyroxine may reduce the risk of preterm birth and possibly miscarriage. The recommendation is stronger in pregnant women with subclinical hypothyroidism (defined as TSH 2.5–10 mIU/l) who are anti-TPO positive, in view of the risk of overt hypothyroidism. If a decision is made not to treat, close monitoring of the thyroid function (every 4 weeks in the first 20 weeks of pregnancy) is recommended. If anti-TPO is not positive, treatment for subclinical hypothyroidism is not currently recommended. It has been suggested that many of the aforementioned recommendations could lead to unnecessary treatment, in the sense that the TSH cutoff levels may be too restrictive in some ethnic groups; there may be little benefit from treatment of subclinical hypothyroidism in certain cases. *Disclaimer: Consult Doctor for treatment.